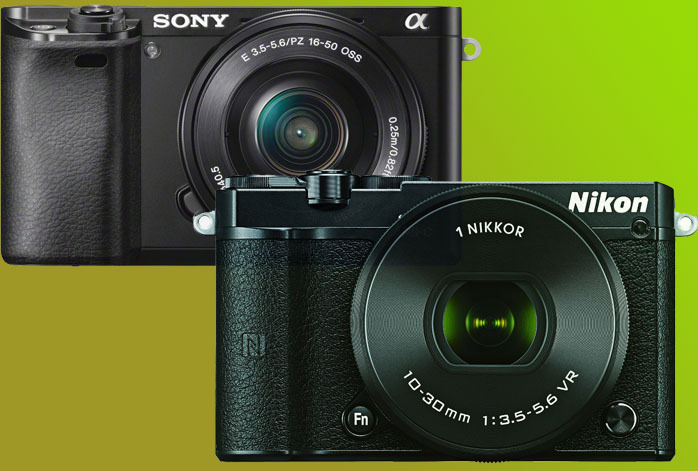 Are you looking for a mirrorless digital camera suitable for sports or street photography? Nikon 1 J5 and Sony a6000 are two models often referred to these cases. Nikon 1 J5 is loved by many because of the budget-friendly price and exceptional performance. On the other hand, Sony a6000 is one famous and extremely versatile product. Which one should you choose? Sony a6000 is a mirrorless digital camera boasting a 24 MP APS-C CMOS image sensor. Enhanced even further with 179 focus points, Sony a6000 is able to deliver astonishing sharpness and details into the images. With such high number of focus points, it is able to capture more fine particulars and emphasize the presence of various objects very well. Also, it has a pretty large pixel area, making the dynamic range and the color depth quite considerably high. The colors, gradients, and blacks are solid, full, and accurate. The model has some edge for sports photography, with an 11-fps photo burst and a 1/4000s maximum shutter speed. Sony a6000 comes with 51200 maximum ISO, built-in flash and external flash shoe, AE bracketing, also Wi-Fi and NFC. Anyway, would you read Fujifilm X-T10 vs Sony a6000 awhile? Although it is a little bit pricier, in general, you should choose Sony a6000. It is very versatile that it can serve for various purposes. The image quality is also much better. Nikon 1 J5 is only viable if you really need to save some bucks and you specifically only require high shutter speed and high continuous shooting speed. Mirrorlessmart.com is a participant in the Amazon Services LLC Associates Program, an affiliate advertising program designed to provide a means for sites to earn advertising fees by advertising and linking to Mirrorlessmart.com (amazon.com, amazonsupply.com, or myhabit.com). Copyright © 2019 Mirrorlessmart.com. All rights reserved.